Taha was already booked on our date, but he arranged a fantastic tour for us with another tour guide, Ms. Boutheina. She was delightful. We went to Tunis and saw the sites of the Jasmine revolution, the Medina, the Bardo, the exterior of some of the mosques. Our guide was wonderful with the kids and we were happy she went to the Medina with us. 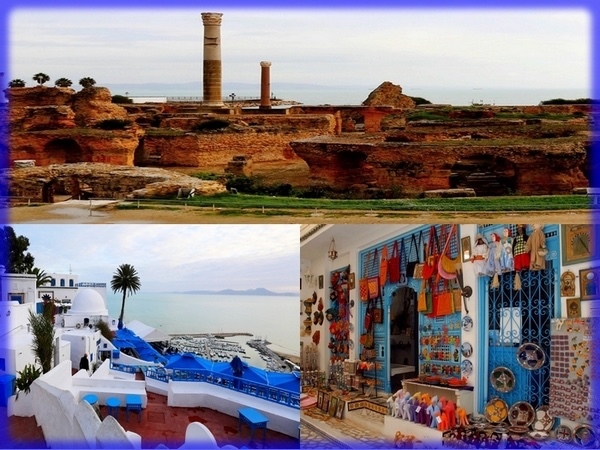 After Tunis was Carthage, the Punic harbors, Carthage museums, the American Cemetery, and a quick stop at Sidi Bou Said. Great, great day! Thank you. TOURSBYLOCALS RESPONSE: The substitution of Taha's colleague Ms. Boutheina was agreed to in advance.